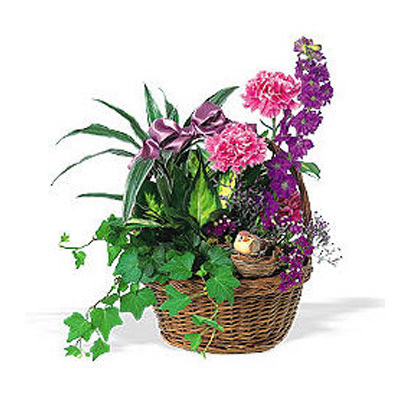 WW-123 A wicker basket of assorted foliage plants is a great gift for home or office. 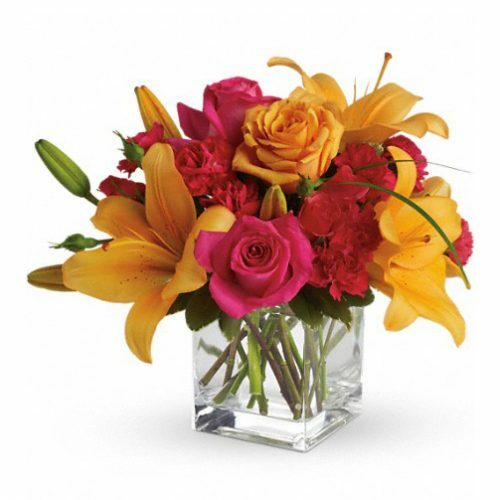 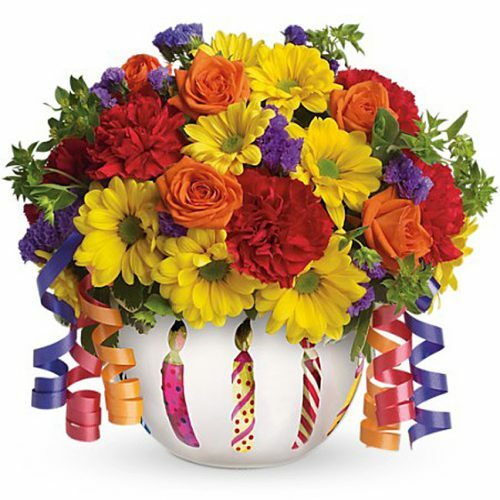 This basket is adorned with colorful fresh flower trim and a cute bird and nest. 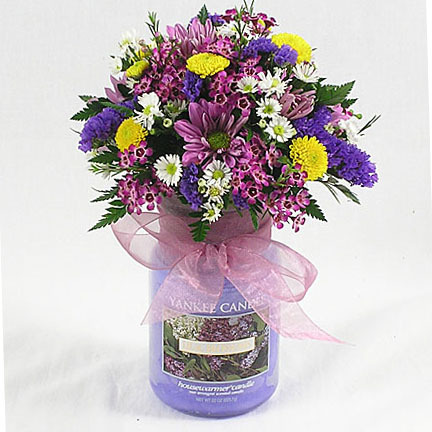 A wicker basket of assorted foliage plants is a great gift for home or office. 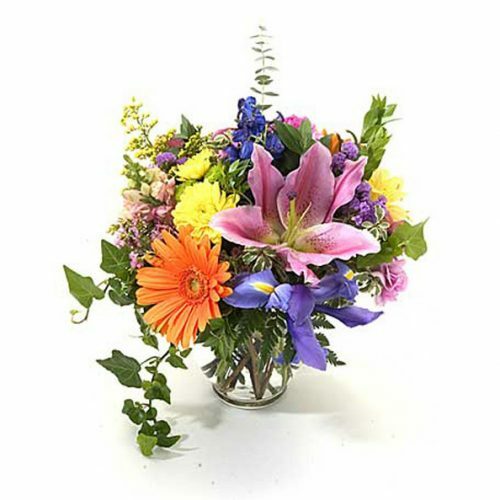 This basket is adorned with colorful fresh flower trim and a cute bird and nest.